Your facial will begin with a consultation. Our esthetician might have you fill out a form that has questions about your skin concerns, your diet, how much water you drink, drugs and supplements you take, and products you are currently using. This can affect your skin and what kind of treatments she recommends. 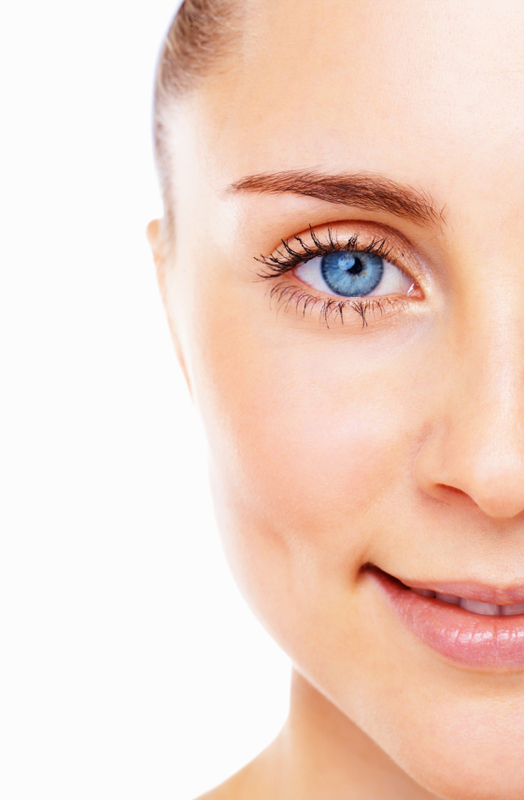 Our esthetician covers your eyes and looks at your skin through a brightly lit magnifying lamp. She is determining your basic skin type (dry, oily, combination, sensitive or normal) and skin conditions (acne, blackheads, whiteheads, aging, sun-damage, dehydration, etc.) she then chooses the appropriate products and treatments, and consults with you about what he or she sees and recommends. Steam. Most facials use a machine that directs a thin vapor of warm steam to your face. This is relaxing and helps softens up any blackheads and whiteheads to be extracted. If you have very sensitive skin, the esthetician may not use steam. Exfoliation using a mechanical or chemical exfoliant. Mechanical exfoliants have a gritty texture that rubs away the surface dead skin cells. This type of exfoliation usually happens during the steam. Chemical exfoliation uses enzymes and acids to loosen the bond between skin cells. A gentle enzyme treatment can be done during the steam. Stronger chenical peels, which vary in intensity, can be a stand-alone treatment or part of the facial. It is not generally an “upgrade” and done in a series. It is not done with steam. Extractions. This is the removal of blackheads or whiteheads if you want it and need it. People have different pain tolerance for extractions. They can be uncomfortable, especially on thin or ruddy skin.